Alfalfa for germination are seeds that are suitable in addition to each of your dishes. 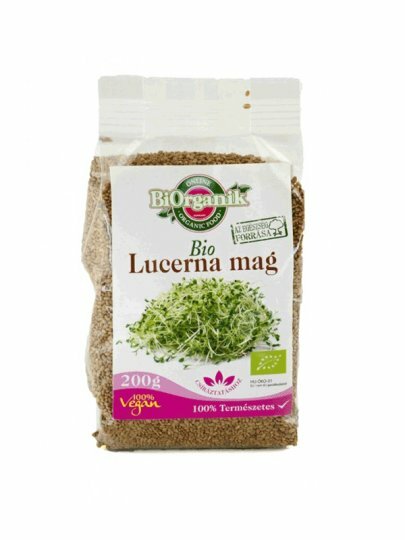 They are rich sources of protein, calcium, minerals, vitamin A, vitamin B complexes and vitamins C, D, E and K. Alfalfa , besides rejuvenating them and restoring your body and eliminating the poisons from the body. Ideal for everyday dietary supplements because, apart from being a healthy, clean body of antibiotics, alcohol and heavy metals. It may contain traces of WHAY, SOY, OIL, CELER, MUSTARD, SEASON.